The contents of the 1,780 different British phone books published between 1880 and 1984* are now available online at Ancestry.co.uk, the result of a 26-month digitisation project - included are the phone books for England, Scotland, Ireland and Wales. The British phone books, 1880-1984 contain more than 280 million names, numbers and addresses, including those of famous historical figures such as former Prime Minister Harold McMillan at his cottage in Chelwood Gate, composer Edward Elgar at his estate in Warwickshire and writer Evelyn Waugh at his home in the West Country where he wrote Brideshead Revisited. Spanning 104 years, the collection also includes the very first phone book - for London - released in 1880 and containing just 248 entries, to those published in the 1980s when more than 47 million phone books were distributed in 145 separate editions. The first phone book contained no numbers and callers were put through by the operator, while the first person to appear in the original phone book was one J.W. Alt living at 14 Queen Victoria Street, East Central. Interestingly, this building no longer exists after the remains of a Roman Temple found nearby were moved to this site, which is now named Temple Court. The collection will allow family history researchers to trace where their ancestors lived at a given time and place and will also fuel the trend for ‘house history’, where residents trace the previous occupants of their homes. Simon Harper, Managing Director of Ancestry.co.uk, comments: “The British phone books,1880-1984 is an exciting resource for anyone wishing to explore either late Victorian, 20th Century family or social history as they provide solid evidence of where people lived during any given time in this period. Sian Wynn-Jones, BT Collections Heritage Manager, comments: "Digitising the phone book collection supports BT's commitment to preserving and providing public access to these important historical sources. We are delighted that this project is now complete and the collection available online for everyone to use and enjoy." Whether you purchase one item from us, or ten, the shipping/handling remains the same - one flat rate. Buy gifts for everyone in the family and save. 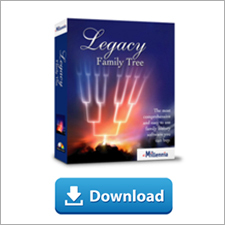 Give the gift of Legacy Family Tree for the whole family. For a limited time, save 20% on Legacy software. Click here for more details. 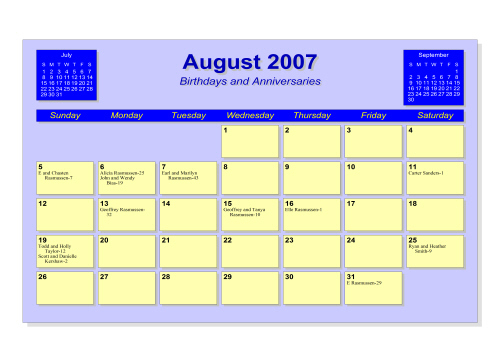 According to the United States Postal Service (as of November 30, 2007), these are the "last mailing dates to arrive by Christmas:"
Some Legacy users maintain more than one family file for various reasons. When starting a new family file, we are often asked if there is a way to import the Master Location List from an existing family file into the new family file. A common reason for wanting to import an existing Master Location List into a new family file is so the format of the locations in the new file will be consistent with the locations in the existing file. In the new family file, go to the Master Location List (View > Master Lists > Location). Click on the Options button and click Import. Select the family file from which to import the list by clicking on the Browse button, locate your existing family file, and click Open. Finally, click on the Location List option and click on the Import Lists button. Your new family file will now have the original Master Location List to work with. We also are frequently asked, "what are the pros/cons of splitting my Legacy database". There are many reasons why you might want to split your family file, but there are also several cautions to consider. Click here to read more. 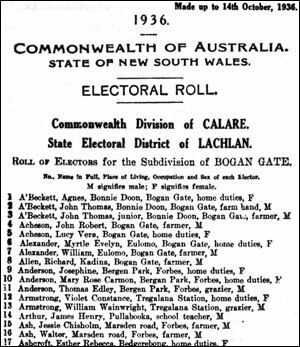 For those with Australian roots, locating 20th century families just got easier thanks to Ancestry.com's publication of the index and images of the Australian Electoral Rolls. Covering the years 1901-1936, the rolls are a vital source for people tracing their Australian families. These are especially important given that census records are not available for searching due to privacy laws. So if you have lost track of an ancestor in this time period, you will probably locate them in these records as electoral rolls are generally country-wide. Searching the database is open to subscribers of Ancestry.com. Click here to begin your search. The above document is the passport application for my 2nd great-grandfather, which I literally located in seconds using Ancestry's new database. 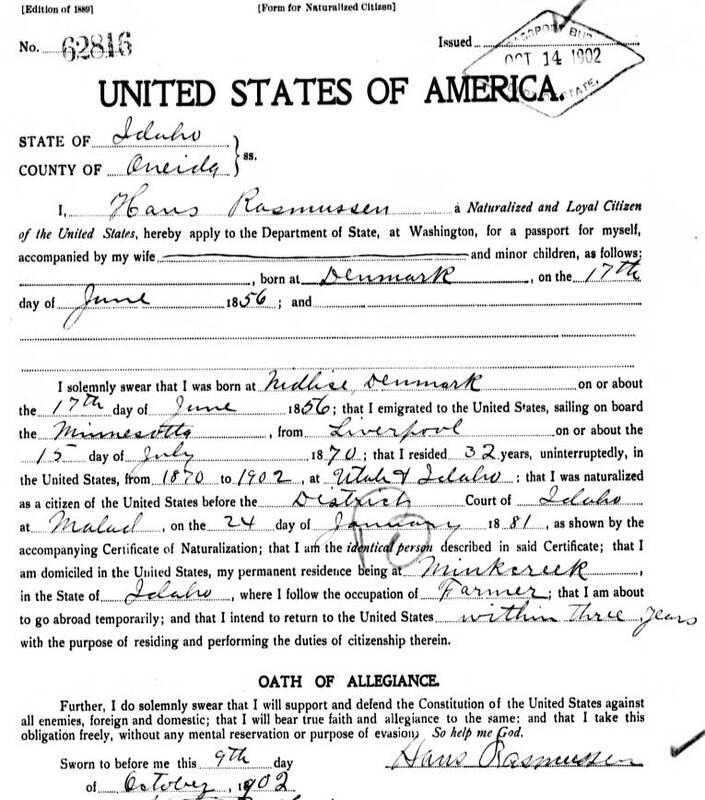 This document provided his name, exact place of birth in Denmark, exact day of birth, his residences from 1870-1902, occupation, date of immigration, and date of naturalization. The new passports database is available to subscribers of Ancestry.com, or is freely available via your nearest Family History Center. Begin your search by clicking here. The U.S. government has issued passports to American citizens since 1789, albeit through several different agencies throughout the years. For the most part, passports were not required of U.S. citizens for foreign travel until World War I. Passports were required for a short time during the Civil War (Aug. 19, 1861-Mar. 17, 1862). An Executive Order given in 1915, and then later an act of Congress given in 1918, established the passport requirement for citizens traveling abroad. This law lapsed with the formal termination of World War I through treaties with Germany, Austria, and Hungary in 1921. In 1941, with the onset of World War II, the Congressional act of 1918 was reinstated. U.S. citizens have been required to carry a passport for foreign travel ever since. This database contains passport applications from 1795-1925, including emergency passport applications (passports issued abroad) from 1877-1907. It also contains passport application registers for 1810-1817, 1830-1831, and 1834-1906. Passports issued March 4-5, 1919 (numbers 67500-67749) are missing from the NARA collection and therefore, are missing from this database as well. Years in which have resided in the U.S. Some passport applications include a photo of the applicant. To receive a U.S. passport, a person had to submit proof of U.S. citizenship. This was usually in the form of a letter, affidavits of witnesses, and certificates from clerks or notaries. Sometimes these other documents are included as part of the application. There was a variety of passport application forms used throughout the years. 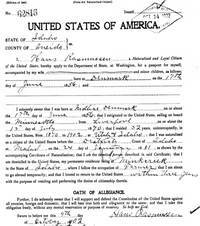 By 1888 there were separate application forms for native citizens, naturalized citizens, and derivative citizens. As a result, all of the above listed information may not be available for every applicant. Likewise, there may be additional information, other than what is shown above, listed on the application form. Some information may only be obtained by viewing the image of the application. Scots can tap into 150 years of local history with the online launch today by Ancestry.co.uk of the Fife Newspaper Index Cards, 1833-1987 and the Perth Newspaper Index Cards 1809-1990. Key name and event information chosen from millions of pages of 22 local papers across Perthshire and Fifeshire will allow family history researchers to delve into the history of the two areas at the touch of a button. Perth’s collection dates from 1809 to 1990 and includes details from the Perthshire Advertiser, the Perthshire Courier and Strathearn Herald, all indexed by the AK Bell Library in Perth. The Fifeshire collection, indexed by the Cupar Library in Fife, consists of more than 200,000 records taken from newspapers including the Dundee Courier and the Fife Herald News, dating from 1833 to 1987. Both libraries have painstakingly scoured their historical newspaper collections over several decades to compile a variety of interesting, relevant and historically important information. The result is two collections rich with details of births, deaths, retirals, wedding anniversaries, personal achievements and personal tragedies, as well as a wealth of information on historical events, probate and legal notices, business advertisements and local news. Historical events of note include the Cholera epidemic that gripped Perth in the 1830s, and death of the botanist and local hero Sir Patrick Geddes in 1985, both of which appear in the Perthshire collection, while in the Fifeshire collection are details of the Tay Bridge Disaster of 1879 when a gale caused the bridge to collapse, taking with it 6 train carriages and killing 75 people. These ‘filtered’ collections are searchable by a person’s name, event type, event place, and date of newspaper, including the page number. This information can be used to order back copies of the relevant papers from the libraries or to arrange a visit to view them on microfilm. Are you looking for a gift the will really bring the family together? Then give the gift of Legacy Family Tree. 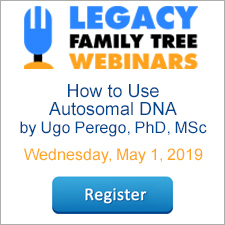 As a Legacy Family Tree 6.0 user, you can purchase additional copies of the software for friends and family at a reduced price (up to 25% off)! Copies of the program that are purchased now will also get a FREE upgrade to Legacy v7 when it is released. To take advantage of this special offer, simply run Legacy and click on the Legacy Home tab. In the Legacy News section you will find your private coupon code and simple instructions to use it. Deluxe edition customers receive a 25% off coupon (yet another perk for Deluxe edition customers). Standard edition customers receive a 15% off coupon. Here's your chance to give Legacy to your friends and family at a great price. Your private coupon code can be used only once. 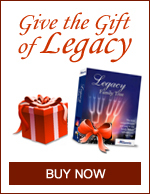 Up to 10 gift copies of Legacy can be purchased with the coupon. 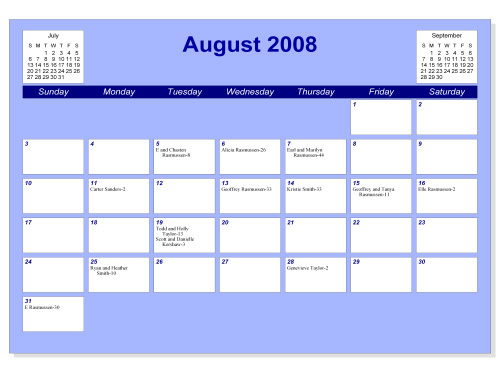 Offer expires December 31, 2007.